Sahara has been purchased as the new stud stallion,to kick start the stud into life again. After a long illness and selling Knodishall Beaufort to Argentina things at Norash went on hold for a while, then the bug hit me again, as it does with the Welshies. 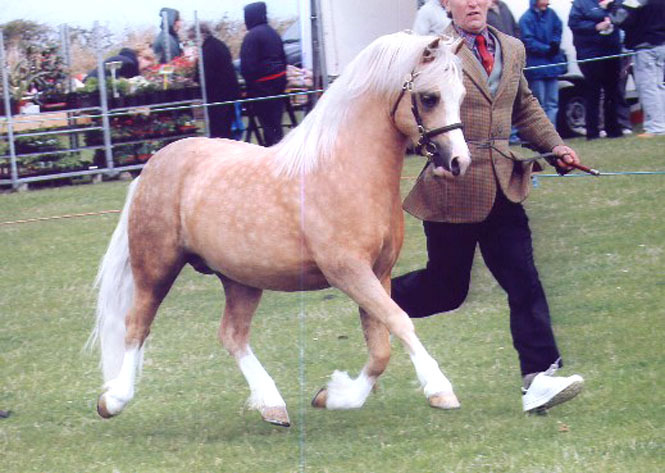 On a visit to see a good friend, Sandy Goodwin, I first saw Sahara although he was only a few days old, I knew he was for me (Beaufort was also a few days old on purchase) Sandy took endless persuasion to sell him to me, I had to wear her down (tough lady) and the rest is history. 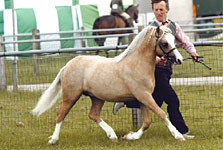 successfully shown as a foal at foot with good results from The Royal Welsh and Northleach Shows before he joined us at Norash. He then was sent to Colin Tibbey to show, and what a job he has done, a whole string of firsts from major shows and a medal too, what more could I ask? Huge thanks to Sandy and Keith for selling me Sahara and to Colin Tibbey and team for doing such a fantastic job showing him,we have had some amazing wins( long may it last).